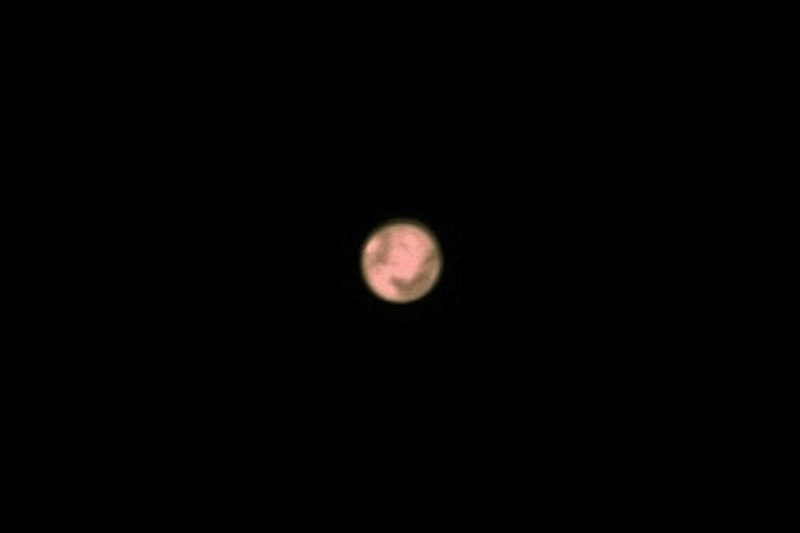 Mars - Mars is the 4th planet from the Sun and appears here in its distinctly red color due to iron minerals found in the sand and rocks which cover its surface. Mars is speculated to have had conditions favorable for life in its past, including liquid water. Only ice water exists currently on the "Red Planet", and till now no proof that life exists or ever existed there has been found. The dark spots which are seen on its surface, including the "v" shaped Syrtis Major, are albedo features which appear because of differences in their ability to reflect light.